Getting Stung by the Scorpions: Return to Forever Tour Report! The plan was set; I would attend 10 of the 16 concerts that the Scorpions would play here in North America. Surely, I must have been crazy to even attempt such a thing or maybe just dedicated. 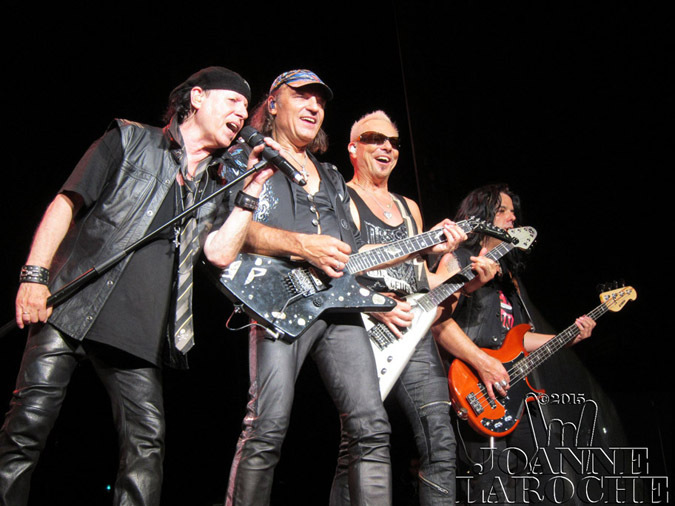 The Scorpions have been touring to support their new album, "Return to Forever" as well as their 50th Anniversary. Well, I figured if they could still be touring after 50 years, then I would make an effort to go to as many shows as possible. If anything, the Scorpions are a live band and still know how to get the crowds on their feet. Their North American tour began in Boston on September, 10th 2015 and ended in Seattle on October 9th, 2015. With a good number of sold out venues, if you listen very closely you can still feel the earth resonate with their rock and roll energy. With Queensryche as their supporting group, this was a tag team to please the mainstream rockers and more progressive types as well.